Madonna was at member's bar, Annabel's in London last night, to celebrate the launch of the Moschino X H&M collection. She was spotted wearing the £119 gold-chain print hoodie from the collection. Posty’s Dimitri Clog sold out in a matter of hours on Thursday and even fashion icon Madonna wanted a pair. The Vogue hitmaker seemed absolutely gutted that she’d missed out on the footwear collaboration as Posty announced that pairs had flown off the shelves in just a day. ‘My first collab with @crocs is SOLD OUT already!’ Post Malone announced on Instagram, sharing a picture of himself not only sporting said clogs, but breaking a cardinal style sin by wearing them with socks. Madonna instantly slid into the comments section, writing: ‘Omg I love those. How can I get some?’ After while the rest of us schmucks will have to wait until December for more stock, queen Madonna will obviously not going to be kept waiting. ‘QUEEN, hi. DM us,’ came a reply from the official Crocs account, hinting that a pair will be in the post (Malone) before the weekend is up. The (clearly) highly desirable, limited edition shoes - trademarked Posty Co. - feature a yellow devil face design. Modelled on the distinctive Crocs slip-on style, the clog also features ventilation ports on the toes for breathability, or a sneak preview of your socks, if you’re so inclined. Announcing the collaboration, Posty declared his love for the kind of comfy footwear that’s acceptable for any occasion. Turns out the piece is made by L.A.-based Private Party, the brand known for comical graphic T-shirts, sweatshirts and bathing suits with sayings and song lyrics including, 'I Woke Up Like This,' 'Netflix, Nachos & Naps,' and 'Who The Fvck is Aubrey Graham?'. Ashley Tisdale, Emily Ratajowski and Tracee Ellis Ross are amog the many notable fans of the company's wink-and-nod gear. So just how did Madonna's on-stage piece come to be? The muscle tank is currently available on shopprivateparty.com for $52 a pop (an 'Only Here for Drake' sweatshirt goes for $79). 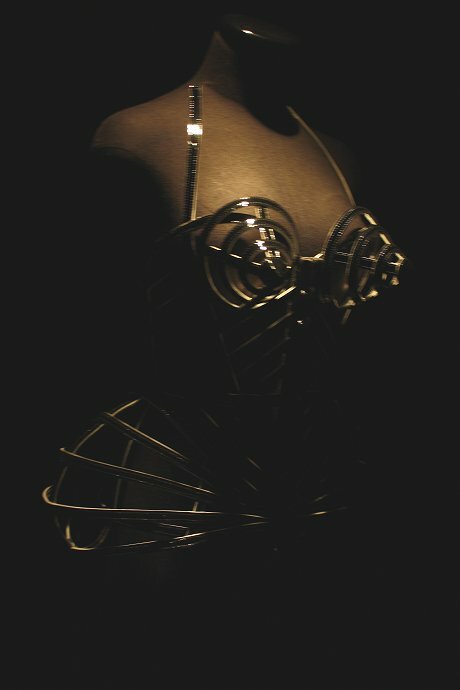 Looking back through his four decades of creations he recalls the surprising origin of the bustier that first made him a household name in the U.S. - when a certain pop star from Michigan wore it on her 'Blond Ambition' tour in 1990. 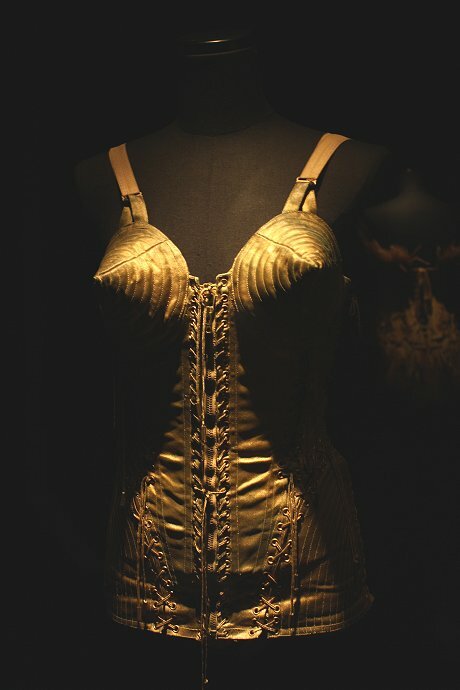 'It was not Madonna who wore my first conical bra, it was Nana my Teddy Bear. And when I was six, I wanted to have a doll, but my parents didn't find it politically correct for a boy,' he said. Madonna is still very much in his heart - and he defended her against ageist criticism that her fall in this year's Brit Awards showed that, at 56 years old, she should be hanging up her pointy bra once and for all. 'Why do they attack her because of her age, and they don't do it to men?' he asked. Madonna has been unveiled as the face of the Versace Spring/Summer 2015 fashion campaign. The pictures were shot by Mert Alas and Marcus Piggott. As Madonna celebrates her birthday tomorrow Stylight decided this would be the perfect time to celebrate the influence that she's had on the fashion and music industry over the years by compiling a graphic of her Top 10 style moments. madonnalicious reader Juanpe visited ': From the Sidewalk to the Catwalk' travelling exhibition that was recently held in Madrid. 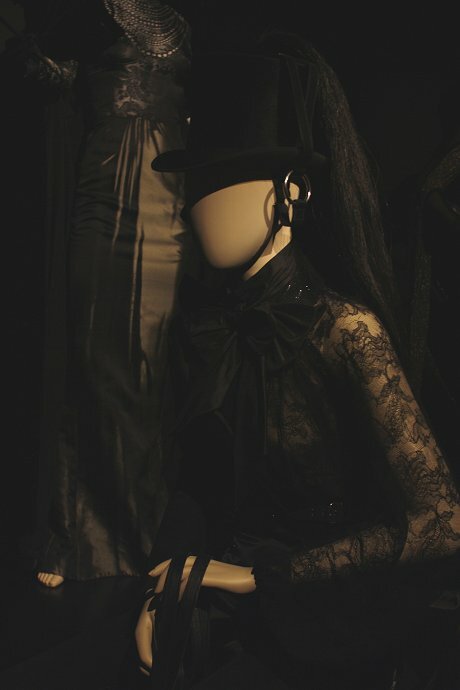 It features various costumes from Madonna's tours - from Blond Ambition to MDNA. The SS13 campaign from Jean-Paul Gaultier features four models dressed as pop icons - one of which is a 1980's Madonna. The campaign was shot by Sebastian Kim with art direction by Babeth Djian. Jean Paul Gaultier’s show tonight was an absolute hoot. Paying tribute to pop stars of the 1980s, the designer dressed his models to look like Grace Jones, Madonna, Michael Jackson, David Bowie and Annie Lennox, with hilarious accuracy. Karlie Kloss was dressed as Boy George, with hair ringlets and a rainbow colored kimono coat. Joan Smalls, in a tight black lace dress, was Sade. Jessica Stam was Madonna, in her 'Desparately Seeking Susan' phase, and Lindsey Wixson, dressed in denim-colored sequins, channeled Jane Birkin and 'Je T’Aime...Moi Non Plus.' So what if Ms. Birkin was from the wrong decade? The show was still a trip worthy of a Vegas act. At the end, there was an appearance by that fascinatingly wacky French character Amanda Lear, wearing a pink bathing suit. Speaking of the 1980s, Susanne Bartsch, the nightlife figure famous since her parties in the Copacabana in New York, was sitting in the front row, as was a KISS tribute band. Christopher Ciccone, the younger brother of pop star Madonna, took a rubber-soled step outside of his famous sibling's shadow on Friday as he launched his first shoe collection at the start of London Fashion Week. Ciccone, 51, spun a modern twist on functional footwear, using rubber, leather and canvas to reinvent riding boots, Wellington boots, boat shoes, brogues and sandals, using a mixture of bold block hues, geometric prints and strap details. The prices of the collection range from 39 pounds to just under 300 pounds. 'It's the art that follows the form (that) follows the function. 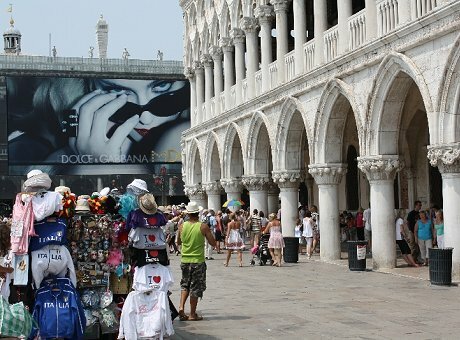 I'm an artist, so everything that I create comes from that world,' Ciccone told Reuters, adding that he was inspired by the work of Georgia O'Keeffe, Mondrian and Delacroix. Madonna did not attend the launch, but she was there in spirit as her latest hit song, 'Girl Gone Wild,' played alongside other pop hits during Ciccone's presentation at London's trendy Strand Gallery. Ciccone's collection for men, women and children will be showcased in New York, Paris and Vienna, as part of a worldwide travelling trunk show. But he said he was keen to debut the shoes in London. 'I've always had a real connection to this city, I just love it here. I think the footwear connects to the city itself from the design point of view and from the functional point of view. I just couldn't see doing it in Paris or Milan. London has an edgier side to it,' he said. Ciccone's sales agent, John Alston, said the collection hoped to cater to a gap in the crowded footwear market, bringing high quality to affordable, functional shoes. 'It's a very crowded market, but we believe it's different enough,' Alston said. Okay, so on one hand, Madonna's one-off Jean Paul Gaultier cage corset will probably never be available for wide public consumption. Nor will virtually ANY of her MDNA tour costumes. If you're anything like us, you've spent more than one sleepless night mourning this sad fact, clutching framed pictures of the JPG sketches in your bedroom with 'Frozen' on constant repeat. Well, dry your eyes, chipmunks. According to our friends at InStyle, Madge's makeup artist Gina Brooke has teamed up with the cosmetics brand Make Up For Ever for a collaboration that will bring you that much closer to your MDNA dreams. Thanks to the Brooke x Make Up For Ever match-up, Madonna custom MDNA tour pout can be all YOURS starting August 9th! The bright red Aqua Rouge #8 lip color with extra staying power (duhhhh, this is made for wear on STAGE where there's no room for reapplication) is scheduled to hit sephora.com early next month and will be available for just $24 - a small price to pay for beauty proximity to Her Madgesty. 'I wanted to come up with a perfect, pure red lip color that would exude confidence and beauty,' Brooke said of the specially made lipstick, 'To me, the shade looks iconic, which is the perfect word to define Madonna and her career.' What do you think? Will you buy Madonna's custom lip color? Last night, Persol fêted their annual ‘Magnificent Obsessions’ exhibit at the Museum of the Moving Image in Queens with costume designer Arianne Phillips as one of its honorees. Mention Phillips’s name to anyone in the music or film industries and you’ll immediately notice a twinkle in their eye - the woman is legendary. She’s worked as Madonna’s personal costumer for 15 years on top of an additionally long list of film credits. 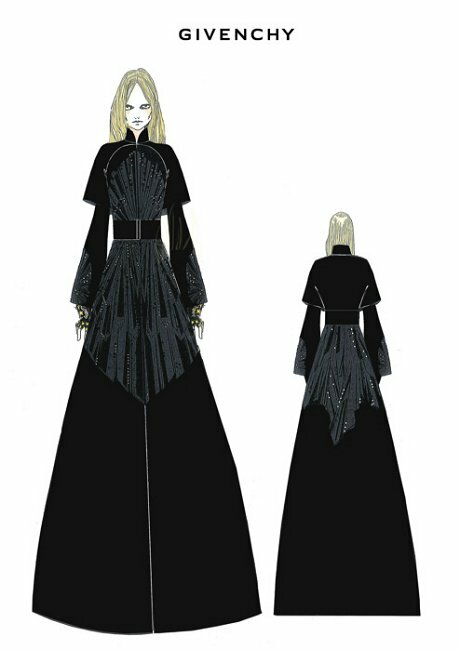 Most recently, she did the costumes for Madge’s current MDNA Tour which marks their fifth touring collaboration. At the exhibit, which opens today through August 14th, you’ll find an entire section devoted to Phillips’s costumes for the Madonna-directed film, W.E, which focuses on the Duchess of Windsor’s controversial life. Dutifully holding court beside her exhibited creations, we chatted with Phillips about what it’s been like to work with the queen of pop for over a decade. 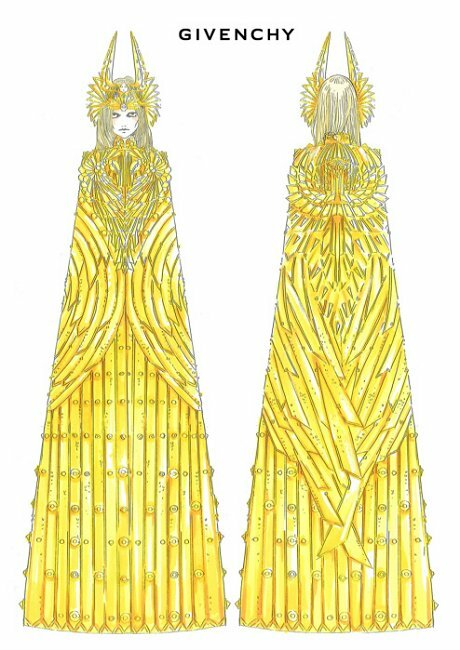 You just designed the costumes for Madonna’s MDNA tour - is there a different process in designing those costumes compared with the ones on display here today? In a way the conversation is very similar. I’ve worked with [Madonna] for 15 years and this is my fifth tour. Working on the film was unique because she was behind the camera with me and that was really great. She is a really aesthetically rigorous and curious person, really forward-thinking and always pushing herself. I feel like I’m so grateful for the opportunity to have been with her on this journey for the past 15 years and to get to do so many diverse things. She’s such a prolific artist and to be able to collaborate with her in all of these different disciplines is an incredible opportunity that isn’t lost on me. I don’t take it for granted; it’s really been an exceptional experience. Madonna impressed Riccardo Tisci so much his hands shook when he was measuring her. The Givenchy designer created all the looks for the American icon’s Sticky & Sweet world tour. They first met three years ago and he was totally overcome when he realised she wanted to work with him. 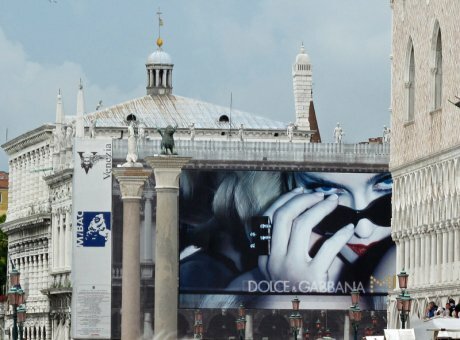 The pair’s relationship has continued, with Riccardo creating the looks for Madonna’s recent Super Bowl show. He came up with 28 suggestions for Madonna to wear during her half-time appearance at the prestigious American football event. 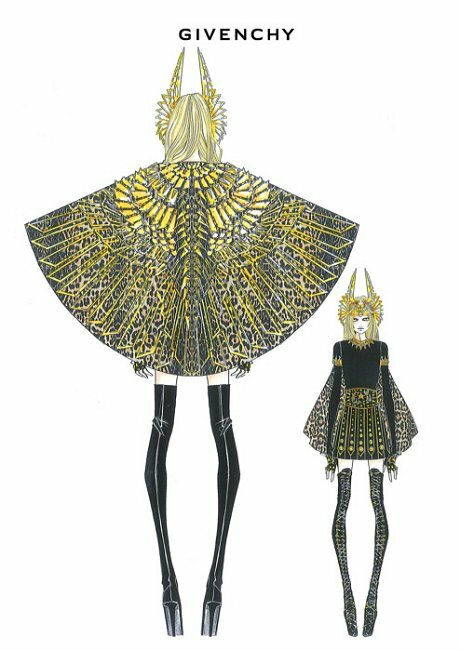 She chose a cloak which was gold and handmade over several weeks. Riccardo and his team also made a shorter cape which they worked on a lot. It had to be re-done because the initial version wasn’t quite right when the star tested it. Madonna even had underwear stitched by the designer and his team. Markus Lupfer has a new fan in Madonna no less. The singer and style icon chose to wear his spring/summer 2012 intarsia star jumper for the cover of her new single, Give Me All Your Luvin'. The British designer sent the star's stylist a selection of items from his latest collection, before the singer eventually singled the knit out. Although Lupfer sadly didn't get to meet Madonna, she couldn't have given her endorsement to a more appreciative recipient. NYMag.com have published a video clip of stars being interviewed as they arrived at the Met Gala. Madonna is asked about when she first met Lee McQueen. An impressive collection of A-list stars have attended the Costume Institute Benefit Gala in New York, which honoured the life of the late designer Alexander McQueen. The annual event marked the opening of the Alexander McQueen: Savage Beauty exhibition and Sir Paul McCartney, Beyonce and Gwyneth Paltrow were among the guests. Madonna spoke emotionally on the red carpet about McQueen, who committed suicide in February 2010 aged 40. 'I miss him terribly,' the singer said. Francois-Henri Pinault and his wife Salma Hayek served as the event's honorary chairmen, with Colin Firth, Stella McCartney and Anna Wintour as vice chairmen. Other stars who walked the red carpet included Jennifer Lopez, Penelope Cruz, Jessica Alba and Taylor Swift. Madonna and Guy Oseary attended the Costume Institute Benefit Gala in New York City last night, which honoured the life of the late designer Alexander McQueen. Madonna was wearing a stunning star-spangled Stella McCartney gown. madonnalicious reader Lila took this pictures of a large MDG window display in a store along Shenkin Street in Tel Aviv, Israel. 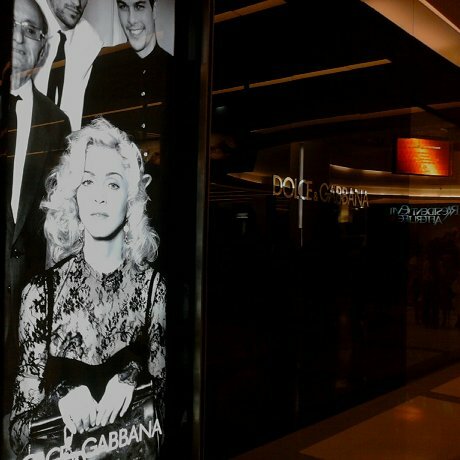 At the entrance there are giant pictures of Madonna displayed from the latest D&G campaign - to get a feeling of how big they are you can see the information monitors above the photo display. 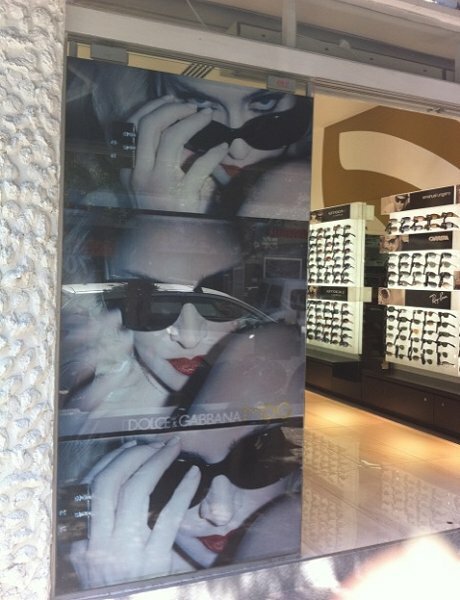 At the end of the hall is another giant Madonna photo from the MDG sunglasses campaign. Truly stunning to see, worth a visit to the airport. Maybe they should rename the airport in Milan Madonna airport! This behind-the-scenes video clip of the Steven Klein photoshoot for the Dolce & Gabbana AW10/11 campaign has been uploaded to YouTube. 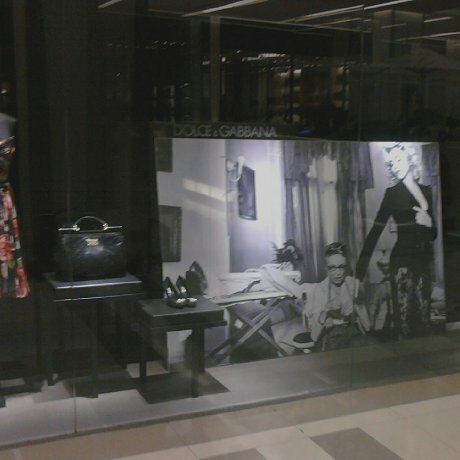 madonnalicious reader Vichien B. snapped these pictures of the new Madonna window displays at the Siam Paragon Department store in Bangkok. 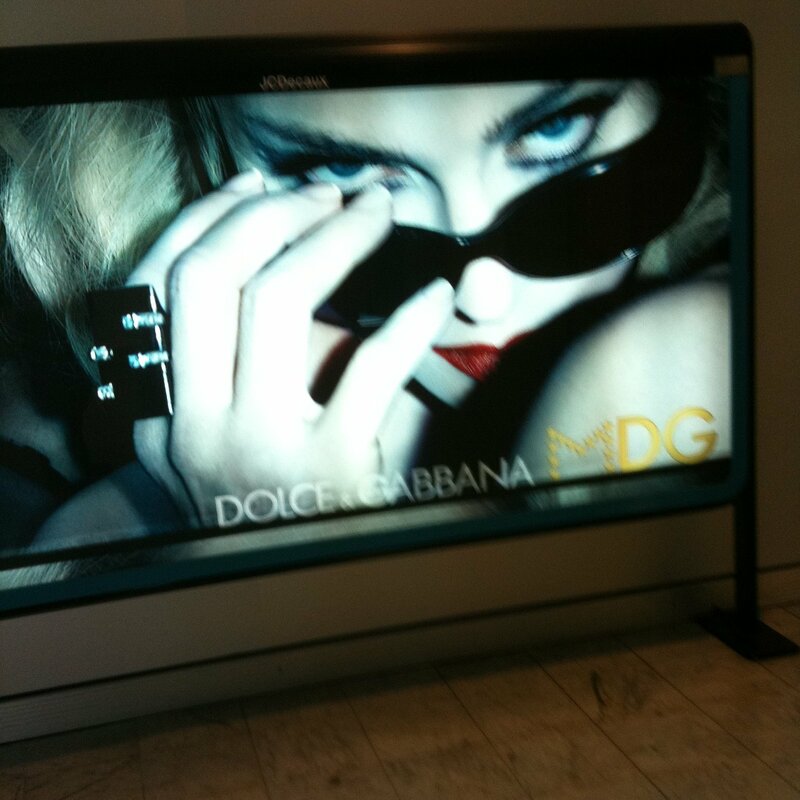 This huge billboard advertising MDG sunglasses was spotted by madonnalicious reader Moira at Milan's Porta Garibaldi Station. You thought you saw and read the full Madonna for Dolce&Gabbana fall-winter story, thanks to Swide check out a very special episode. Beautifully dressed and following the Italian family theme of the campaign, la Donna is giving her lowdown on how to wear unique tailored clothing at all occasions even the most unexpected ones. Indeed, you never know who will ring at the door while you are tidying up the house. Always prepared, always glamorous, as shown by Madonna, femininity and sensuality do not belong to specific time slots: it is a permanent state of dressing. 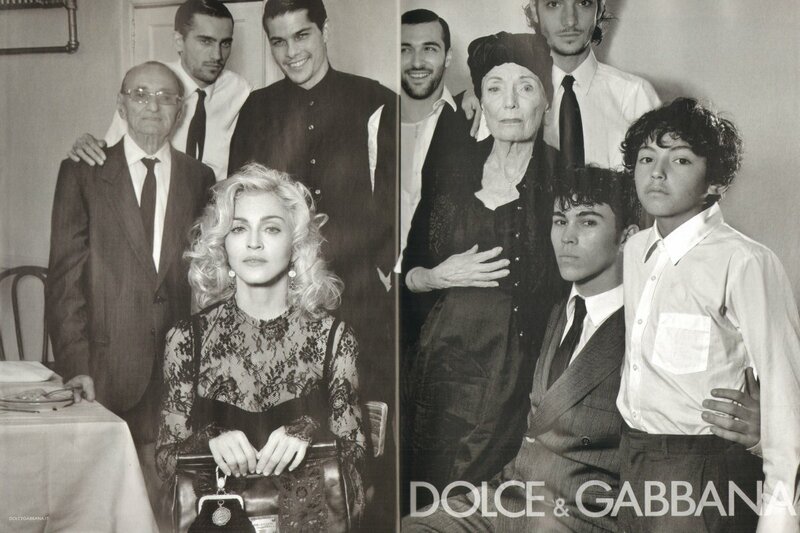 Photo credits: Steven Klein for Dolce&Gabbana. According to model Gina Lapina, she was booked, alongside fellow Miu Miu 'faces' Lindsey Wixson, Siri Tollerød, and Daphne Groeneveld to front the label's A/W'10 campaign with legendary fashion photography team Mert Atlas and Marcus Pigott. So far, so normal fashion industry bizznizz. The next part is not normal. The next part is likely a slightly bizarre cheese-induced dream sequence. Here's what happened: MADONNA strolls into the studio to say Hi to her BFFs Mert 'n' Marc, who are in the process of filming a behind-the-scenes video of the photoshoot. 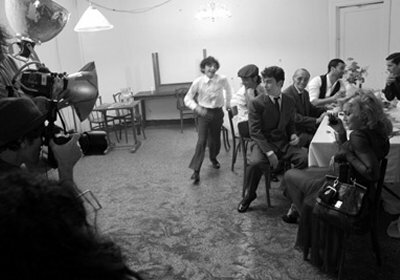 Madge, as you will recall, is a erm, extraordinary film director, and VOLUNTEERS TO FILM THE VIDEO HERSELF. madonnalicious reader Patrick took this picture of a Madonna window display at the Dolce & Gabbana store in Las Vegas at Caesars Palace in the Forum Shops. 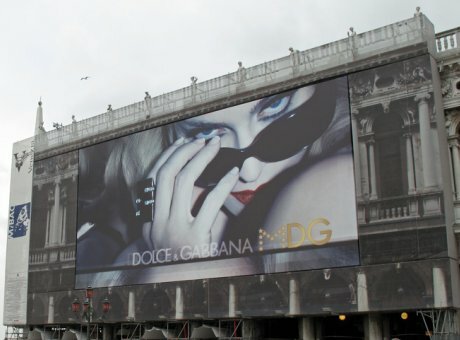 The new Dolce & Gabbana advertising campaign for AW10-11 has hit the September issues (that are in stores now) of some fashion magazines. The UK version of Elle magazine features two double-page spreads of the adverts. 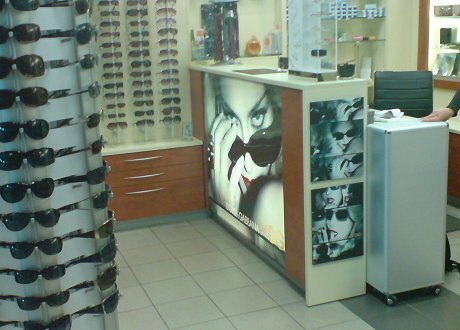 Madonna's MDG sunglasses range are on full display at this shop at Schönefeld Airport in Berlin, Germany in these pictures taken by madonnalicious reader Franky. 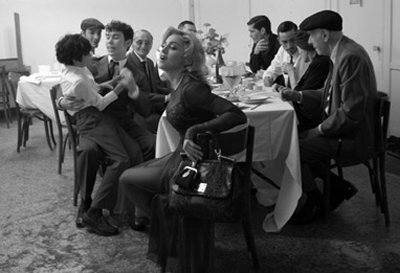 Look at the amazing shots of Steven Klein at work for the AW 10-11 campaign with an exceptional Madonna captured while striking a pose or just naturally making one that fits perfectly in the story. Beauty can be captured in many different ways, the only difference resides in the angle with which we want to tell it. The movements of the backstage give us the full tale of how Steven Klein created the AW 10-11 adv campaign and not only. 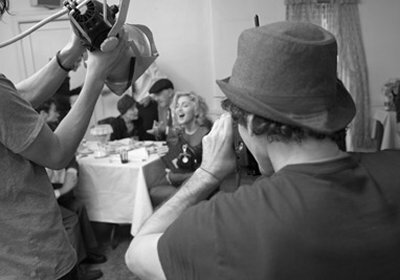 What we see is what surrounded them while in the process of putting together perfect images, the atmosphere, the mood, Madonna, are preciously framed out of 'the' picture. 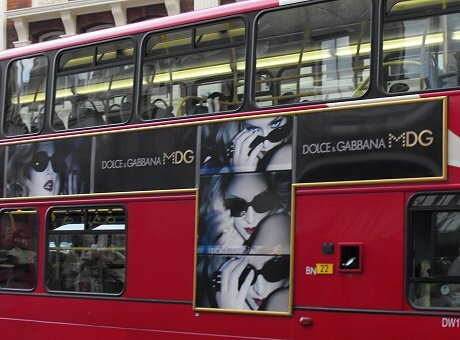 Dolce & Gabbana have revealed the seven images that comprise the AW10/11 advertising campaign that was shot by Steven Klein. 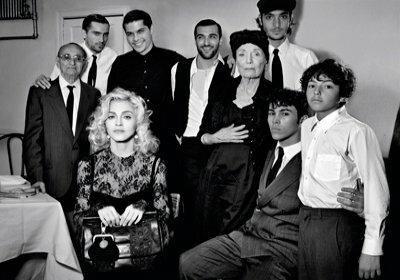 The much expected advertising campaign starring Madonna and shot by Steven Klein for AW10/11 is revealed in full. Steven Klein captured frames of life, entered the home of a proud family, and put Madonna at the heart of it, breathing dignity and poise. Scenes that evoke tenderness, at times true happiness found in moments we capture in an impromptu, or a profound sense of pride and solidarity between family members. Madonna is the light at the centre of the family axis, she is the story, the point of gravity to which all other members attract. She is cajoled, protected, glorified, her sun-touched hair piercing through the black and white background. An incredible way to swift through a tale and start thinking of winter with a sense of warmth. 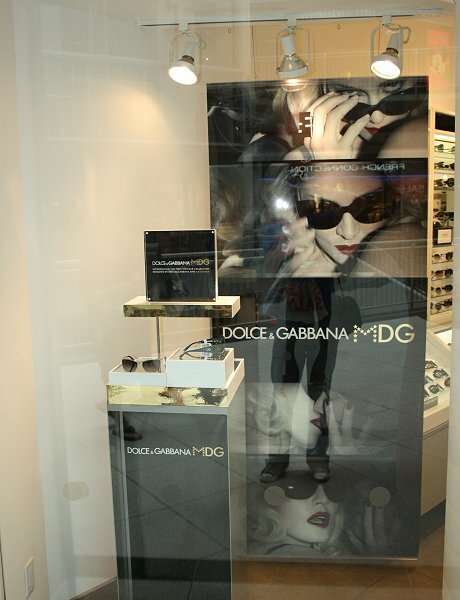 madonnalicious reader Giel snapped this picture of a MDG sunglasses window display at the Eaton Centre in Toronto, Canada. 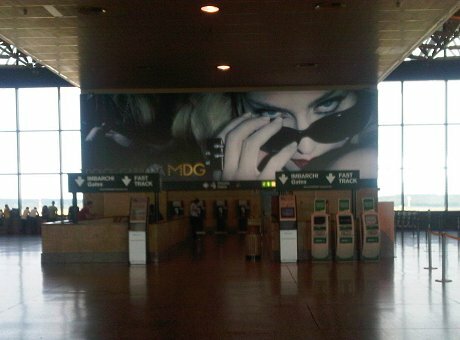 madonnalicious reader Anthony took a picture of this large MDG billboard greets passengers at Nice Airport in France. 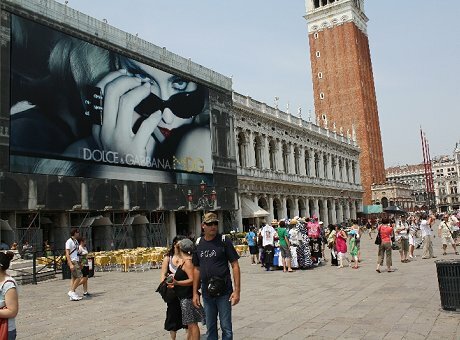 Here are some more pictures of the huge MDG billboard that is in St Mark's Square, Venice. The first two pictures were taken by madonnalicious reader Andrew. 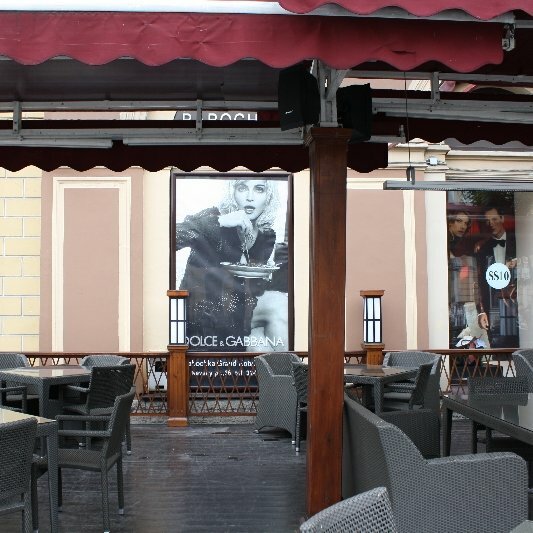 And these two pictures below were taken by madonnalicious reader Ruslan. 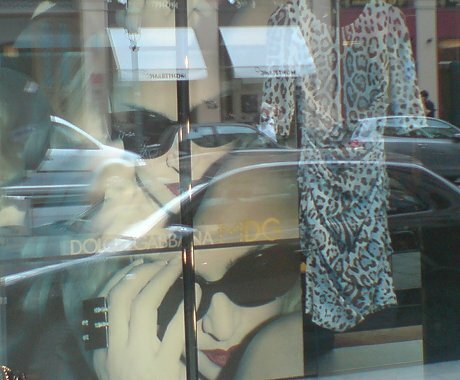 madonnalicious reader Franky snapped this shot of an MDG sunglasses advert in the Dolce & Gabbana store window on Maximilliam Street in Munich, Germany. It was very comfortable. She walked in the room, and I’m a big Madonna fan so I was expecting it to be nervewracking but she walked in and it was totally fine. I felt like her son for the day, I was supposed to be her son in the ad campaign actually. She was just so nice to me, it wasn’t like I was some random kid, she really treated me with respect and I truly respected her for that. She’s such a superstar but she treats you as though you’re on the same level. It was really incredible and she’s just a very nice, sweet person. I was pleasantly surprised. 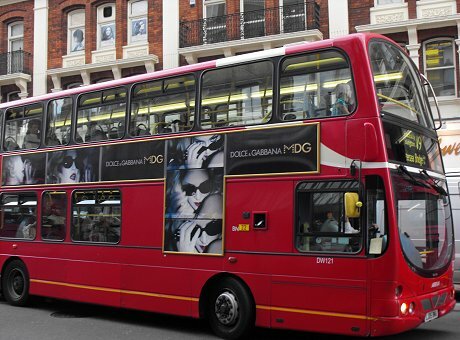 This MDG sunglasses advert can be seen all over London due to the fact it is on the side of a number 19 bus. madonnalicious reader Laszlo snappped this picture as the bus passed by on the street. Madonna is adamant she is a 'typical mother' when it comes to dealing with her daughter Lourdes - she's constantly telling the teenager to wear longer skirts and less make-up. The Material Girl admits she liked to shock with her fashion choices in her youth, but she will never let her 13 year old attend school wearing high-heeled shoes or revealing outfits. Madonna talks about the Material Girl collection in this video clip released this week to promote the launch of the collection in August. The biggest presentations of Material Girl will be at the Macy's stores in Herald Square, State Street in Chicago, Union Square in San Francisco, South Coast Plaza in Orange County and Dadeland in Miami. Another 75 stores will have significantly sized shops, with the remaining 120 showcasing a more moderate assortment. 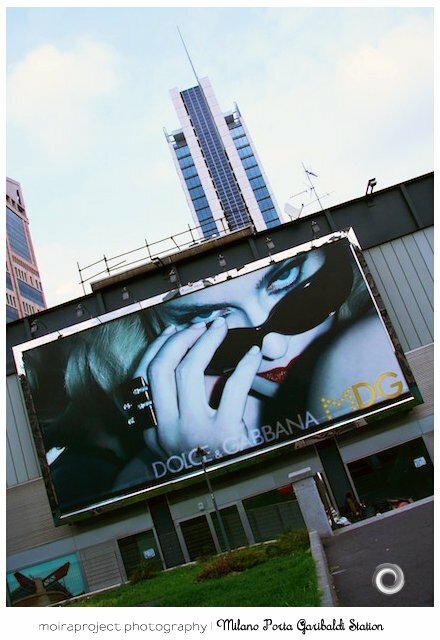 Madonna is not the centerpiece of the marketing campaign supporting the launch. Rather, the most visible face of the brand in advertising and marketing materials will be the for-now-anonymous young television actress and singer. She appears mostly hidden from view in teaser ads that break this week in celebrity weeklies, cinema, outdoors in New York and San Francisco and on the Macy's Herald Square JumboTron. Her identity will be revealed in the coming weeks closer to the launch date. New advertising with the unveiled actress will break at the end of July in celebrity weeklies and the September issues of fashion titles such as Teen Vogue, Seventeen, Cosmopolitan, Glamour, InStyle, Nylon and Paper. The campaign also will include cinema spots, outdoor, radio and online components. All the campaign images were photographed last month in a studio and on the streets of Williamsburg, Brooklyn. Lola helped style the shoot and Madonna stepped in and photographed some of the pictures herself. The celebrity face of Material Girl will attend the national retail launch of the line at Herald Square on Tuesday 03 August, standing in for Madonna and Lourdes, who will not be present. The winner of the competition to meet Madonna and Lourdes will do so at an event at Macy's Herald Square in New York on Wednesday 22 September. 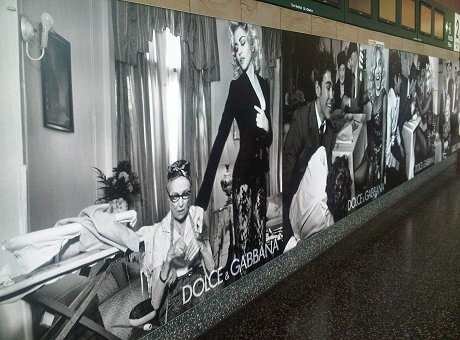 Here are some more images of Madonna released to promote the Macy's Material Girl collection. 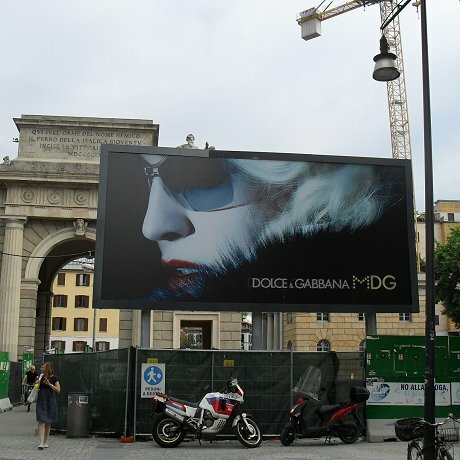 These two large billboards advertising Madonna's MDG sunglasses are situated in Corso Como in Milan, Italy. 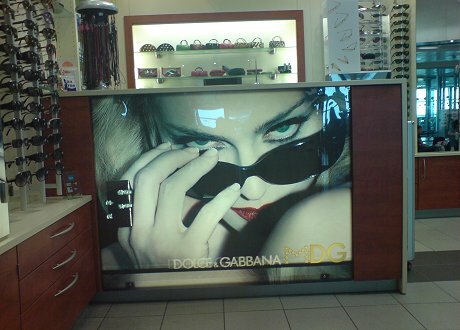 madonnalicious reader Ruslan snapped this picture of a Madonna Dolce & Gabbana advert in St Petersberg, Russia. Madonna's clothing range with daughter Lourdes is an 'extension' of her style. The pair have collaborated on a children's clothing and accessories range for US department store Macy's, and Madonna confesses 13-year-old Lourdes brought much of her own personal style to the collection, entitled Material Girl. The range, which includes clothes, handbags and jewellery, will range from $12 to $40.